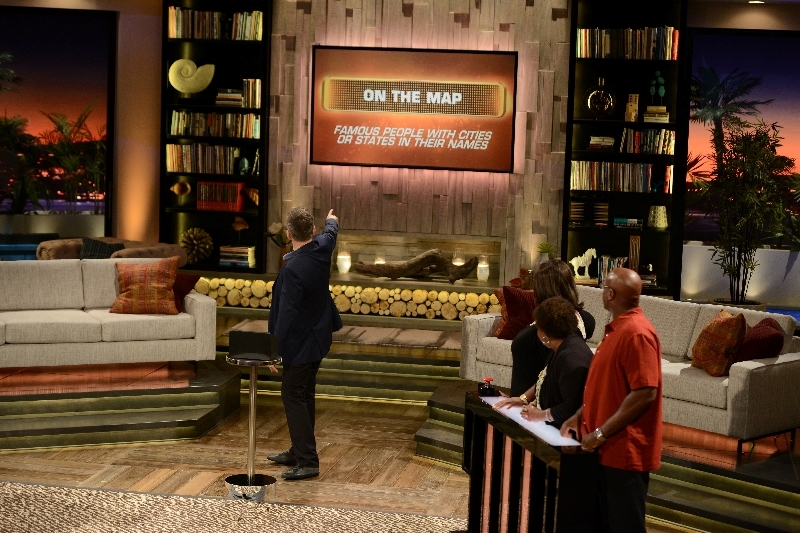 Celebrity Name Game With Craig Ferguson Preview And Interview - Are You Screening? If you aren’t completely up on everything come your way with the new season, one of the things that might have slipped past you is Celebrity Name Game, and it’s one that you want to make sure you don’t miss. 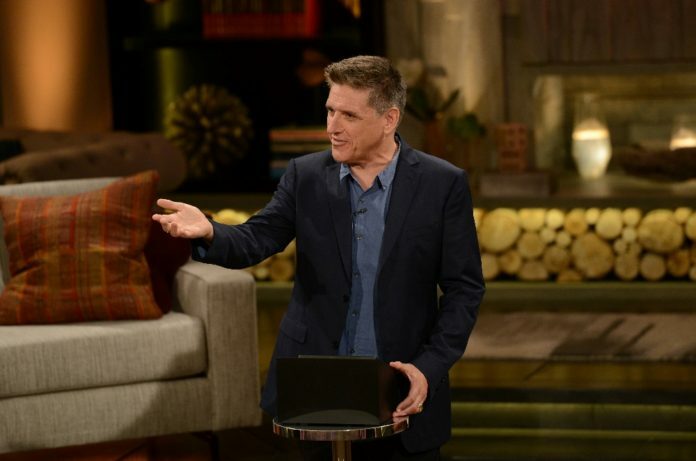 Craig Ferguson moves on from his late night show to a game show, which isn’t exactly the switch you might have expected from him, and it’s going to be a lot of fun. It isn’t like any other game show you’ve seen before, and that’s exactly the way Craig wants it. In fact, to listen to him tell it, he’d be happiest if it progressively gets less and less like a game show as it goes. Check out the preview above, and then take in the interview below. You’ll have to check your local listings, but it starts on Monday, and it’s going to be what everyone is talking about. How do you want to approach this show and not make it just Hollywood Squares or something like that where everything is just prewritten and canned? C. Ferguson It’s exactly the same way of approaching late-night, I mean that’s why I went at this forum on a game show. There was a bunch of game show formats around, but this one works for me because it’s the loosest in the terms of there’s not a lot of crap that I need to get through and explanation. It’s a pretty easy game, so it’s wide open for improvisation. And it has the same set of… you know late-night, you have to have a monologue, you have to have a sidekick, have to have a band, you have to do this, you have whatever it is, you have to see that movie. So kind of this format that has the minimal amount of explanation. There’s still some, but I want, and publicists will tell you, I won’t allow the you can ask this and you can’t ask that thing, which I’m sure I’m enforcing on all of you guys today. So it’s kind of like one thing is I’m a hypocrite, but also I feel there’s enough room to deconstruct it here. I also think, though, that it will take me a while to do it, just like it late-night. I mean that’s why I’m hoping that this thing gets at least a second season, because it took me a couple of years to get where I wanted to get in the late-night show and break it down a bit. But we’re getting there fast, I mean I’ve already made about, gosh, nearly a hundred of these things already, and it is beginning to some people would say fall apart, I would say get better. Of the people coming up who are going to be taking part in the game show, who are some of the folks that maybe people who have been following your other show will recognize? C. Ferguson Well, there’s definitely people that are crossover guests on the show, because I kind of want to be around friendly faces. But also there’s people who you wouldn’t expect to be on a game show. I mean like Lisa Kudrow and people that have been on my show a lot, but there’s also like Sheryl Crow has done the show. It’s kind of like people that you wouldn’t expect to see on a late-night show. And then, of course, I made Courteney and David do at least a few episodes each. So it’s kind of it’s a mixture of both; it will be people that have been regulars on my show, and there will also be kind of people who are more comfortable at least having something to do. The good thing about having a celebrity on a game show is that you don’t really have to—all you have to do is play the game, and so it helps you relax, there’s less pressure. C. Ferguson Sure. Yes. Yes. There’s round three of the game where I have to give the clues to who the celebrity is, and sometimes the contestants, as will happen in any game, just don’t know who the hell I’m talking about. So last week I was doing a show where I said the answer to the question was Anna Paquin, and no one has to press a buzzer and say the name. So I said to the contestants, “All right, I give in. The answer is Anna Paquin.” And then still I had to say it twice, because they didn’t expect it. And then we had the same trouble in the next part with the next question, so the answer was Dennis Quaid, and I said, “All right, it rhymes with Mennis Wade,” and someone pressed the buzzer and said, “Mennis Wade,” as being the answer. And I kind of love that that disaster kind of was really funny on the set. So kind of like there are some rules that I have to follow, because of the legality of it, you know there is this legal stuff involved in game shows. I can’t look like I’m giving stuff away, and I don’t want to be biased with one contestant against another. But also, apart from that, I want it to be as informal and as messy as possible. So this is a very different sort of format from what you’ve done before. Did you have any sort of preset ideas that you brought in when they first said that they wanted to do a game show with you? C. Ferguson Only in I wanted to find a format which would allow an attempt, and I don’t know if I’ve been able to do it yet, but an attempt at some form of deconstruction. I felt that when we were most successful in the late-night show it was lovingly trashing the conventions of it, and so what I wanted to do was find a game show that wasn’t so complicated that you couldn’t do that. And part of choosing this format was that it would allow, it had enough breathing room and enough room for me to kind of experiment and grow inside of it, and that’s why I took this one and that’s why I’m doing this one. How did you end up working with Courteney Cox and David Arquette? C. Ferguson Well, you know they’re very powerful people. They can have you hurt if you say no. And also it was a good idea. We’ve been doing it for three years. I mean this was in development for a long time, this thing. So originally the show was placed at CBS, and then they passed on an hour-long pilot of it and then Tribune picked it up later. So it’s a story that’s been around for a while. Because of the nature of the game, at least what I understand about it, you need people who have fairly significant name recognition to make this work, both for your players and for your audience. So the challenge is to get people who have that kind of name recognition on a regular basis. How hard is that, and are you going to dig into past stars or do they have to be contemporary stars? What level of stars do you think you’ll use? C. Ferguson I don’t know. I don’t know how it’s measured anymore, to be honest. I mean it depends on– I mean, yes, I agree with you conceptually, but there are people, my kids will see somebody and go, “That guy’s really famous,” and I have no idea who it is. I mean I think that things are a little more diverse than they used to be. Yes, I think, of course, the producers are going for big name recognition, and there’s some pretty heavy hitters in this first season, but I think it’s more about affability and being able to play the game. That’s what I think it’s about. But I don’t know how you measure it anymore. I don’t know how it comes out, because what an 18-year old thinks is a big star I think maybe a 50-year old might have a different idea. When you say heavy hitters can you give us any more names who heavy hitters would be? C. Ferguson Well, let’s see, there’s David and Courteney, obviously; Lisa Kudrow; Sheryl Crow; there’s Vivica Fox; Cheryl Burke; Cheri Oteri; Billy Gardell. I’m just looking at the list here of people. I’m just kind of picking them out. Sherri Shepherd. I hope I’m not leaving people out. Luke Perry is there; Mel B. is there; Mario Lopez is there; Darren Criss is there. There’s a lot of—Mena Suvari I see there as well. She was pretty good. I mean there’s a lot of people coming through. Considering this is the first game show you’ve hosted, what were some of the challenges that you encountered and experienced within the first season? C. Ferguson Really the legality of it and the actual mechanics of having to follow a certain set of rules, not only because it’s expected practice within the industry, like in late-night, but also because legally you have to do it. So I mean there are people there making sure you don’t cheat, which in other areas of show business that doesn’t exist. So that was a little surprise to me that there’s certain little bits, and there’s tiny little bits, I think it’s like two or three in a game, where I actually have to say words a certain way, or not even a certain way but to say certain words to make sure they’re said, like giving instructions to how the game is played in the first round and that kind of thing. So that was a little challenging for me, because I’m not normally in that positon. But it gets to a point where now at this point I just kind of do it and move on, it’s like all right, something that has to be done. What makes the show different than like Family Feud or Hollywood Game Night or anything like that? C. Ferguson I think it’s different because, my feeling is, and I don’t even know if this is the party line but this is what I feel, I think the show is something which is evolving. It will eventually become, I think, a comedy show in which a game is played and money is won, but basically it’s a kind of improvised—it feels like an improvised comedy show. But that’s what I think it is as it progresses. I think hopefully it survives long enough, and you never know in this game, but hopefully it survives long enough to make a second season and to get to a point where I can really start to break it down, because that’s where I think its true nature lies. But it will take a time, because that’s what happens, that’s what happens in these shows. You need to go at it for a while to find what feels right and what works. Was there anyone in that list you named of people who have been on the show that have surprised you with how funny or spontaneous they were when you maybe weren’t expecting it? C. Ferguson Yes. I actually was shocked and rather taken aback by the game playing ability and comedic timing, as I said, Mario Lopez, who I thought, Mario, will I be surprised. And he’s good at his job, but I thought he’s a talking head on TV. But actually he’s got chops; it was nice to watch. Are you surprised about how little or how much people know about their favorite celebrities? C. Ferguson I’m pretty shocked at the things they know about them. I mean certain clues that people give I’m like I had no idea. There is a great deal of knowledge. I’m also sometimes shocked that people who are super famous I had never heard of or people who I think are super famous that nobody has ever heard of. And I’m not talking about celebrities on the show, I’m talking about clues in the game. It’s a really interesting generational thing to watch. If, for example, someone gets a clue that the answer is Alfred Hitchcock it’s interesting to watch someone under the age of 30 try to deal with that.